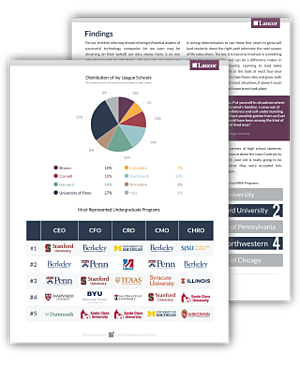 As some of us here at Lancor, a global executive search firm, recently struggled through the college application process with our own children, it personalized the relative importance of a prestigious undergrad degree. Does a successful business career in technology generally follow because one attends an elite school? As we approach the time of the year that is filled with anxious walks to the mailbox, should we be buying into the peer pressure of elite university acceptance letters? The competition seems to be getting more intense every year, leaving parents frustrated and confused about what is best for our children. This question led us to do a deeper dive into elite university degree representation for technology sector business careers. Our new series, Trends in the C-Suite, will explore relevant topics and popular shifts within executive level positions of top technology companies in the US. 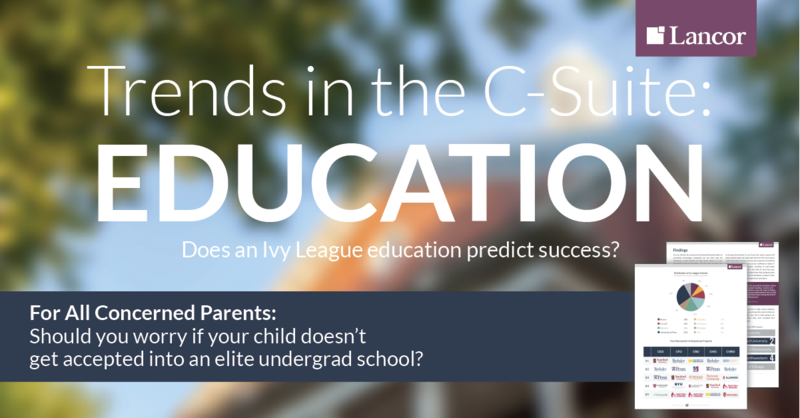 First up, we look at education trends within this successful group. The findings may come as a welcomed surprise.